$10 Million up for grabs in Oregon. Give your piece of the pie to Komen Oregon. The State of Oregon sued manufacturers for illegally fixing prices of LCD (Liquid Crystal Display) or CRT (Cathode Ray Tube) monitors, televisions and computers, and won on behalf of consumers. Did you purchase a LCD in 2002-2006 or CRT screen in 1997-2005? If yes, you are entitled to money. Bought more than one? That’s more money. 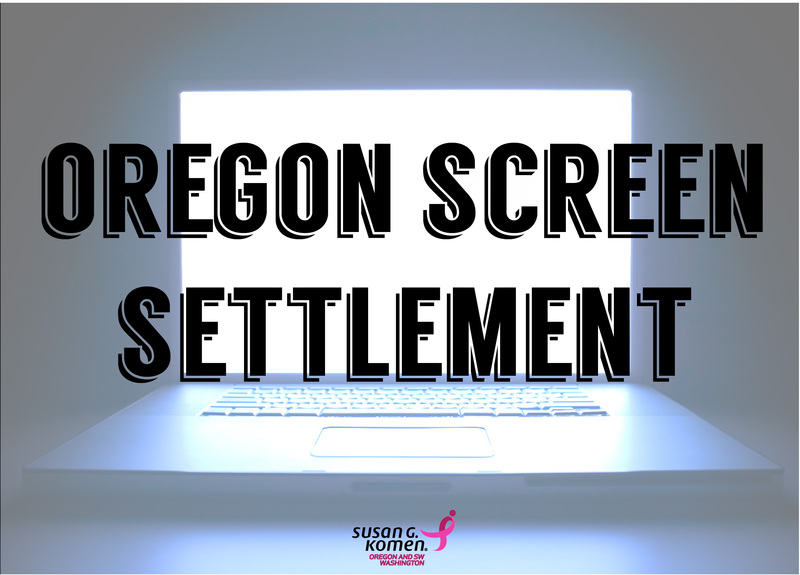 Click to file a LCD claim or a CRT claim. It is simple and takes less than a minute. Pssst, you don’t have to have a receipt either! Give the easiest gift you can ever make to charity by checking the box with our name—Susan G. Komen Oregon and SW Washington. Your free money will benefit our services of breast cancer care! Easiest gift you’ve ever given, right?! Questions? Contact Anna Miller at 503.546.7431.